The censor work of ‘Temper’ of NTR was completed and the film is all set for a release on February 13th. Censor issued a ‘/ U A’ certificate for the film. Bandla Ganesh, the producer of the film, is said to have been very happy with the response of censor members for this film. Puri Jagannadh is the director of the film and Kajal Aggarwal is the lead actress. Madhurima will be seen in an important role in the film. 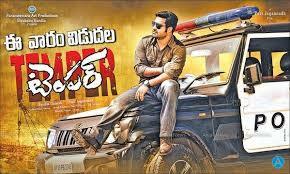 Formalities of Temper Film Censor of the film came out. According to reports from close sources from the censor, the film is going to do a massive hit and a good business in this dull season. The members of the Censor Board are very pleased with the output of this film, they praised the new image of NTR and performance that takes Temper to new next level of Telugu films. Glamour show of Kajal Agarwal is a bit more than expected; Kajal also good and she changed her look completely for this film. NTR is seen shirtless in some scenes of the film with six packs. Manisharmas BGM is good, but the songs are not as expected and most of the comments on songs are that they are routine. Puri Jaganath direction and screen play connected greatly, and there are many more scenes that show Puri mark on screen. One of the best parts of the film are dialogues, says one of the member of the commission of censorship. The film has very good expectations and we’ll see if it lives up to it.